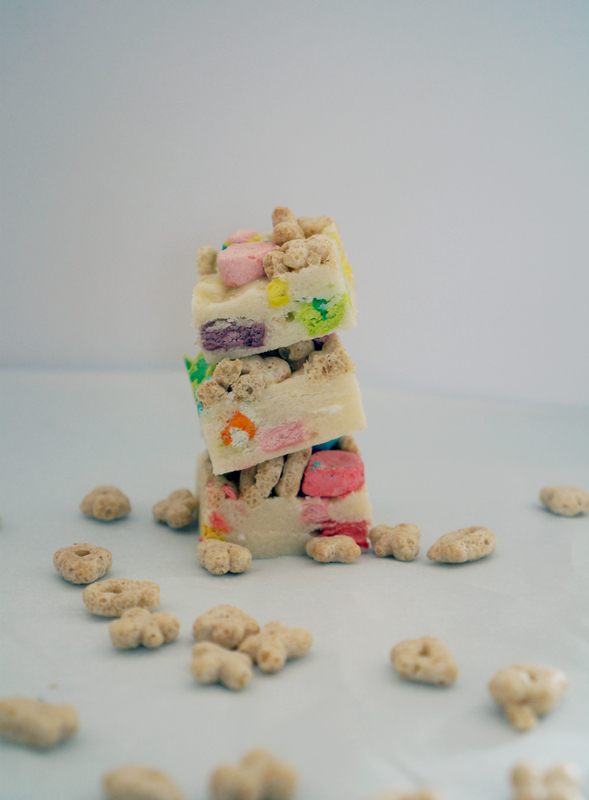 And by fudge, I really mean a combo of cake mix, sugar, white chocolate, and marshmallow topping that mixes together in a fudge-y goodness topped with the best crunchy kids cereal EVER. 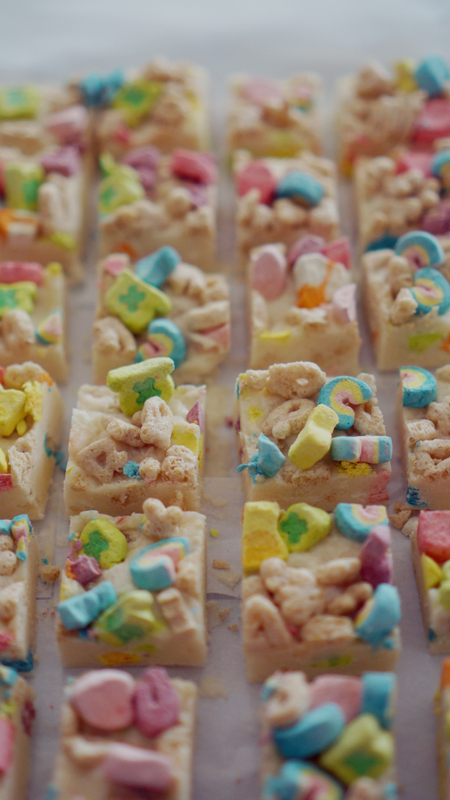 The cake mix and marshmallow even out the sweetness and add in different flavors. It’s a combo between a cake pop, rice crispy bar, and fudge that gets better with every bite. The best way to describe them is, you know when you’re on your third bowl and the milk is super sugar and slightly pink from the first two bowls and you continue to pour more cereal in the bowl and continue to devour? Yeah- that’s what these taste like. 1. 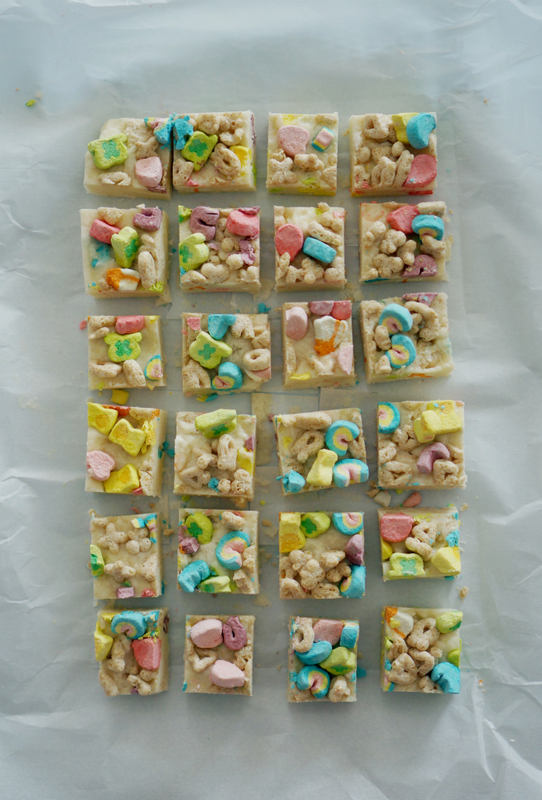 Line the 9×9 pan with parchment paper. 2. 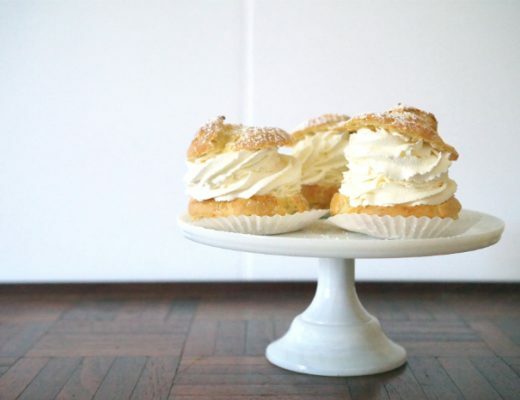 Combine the cake mix and powdered sugar. 3. Add the butter and milk to to the cake mixture, but do not combine. 4. Microwave for 2:00 min. 5. Add in the chocolate chips and marshmallow into the cake mixture and stir until well combined and chocolate chips and marshmallow are melted. 6. 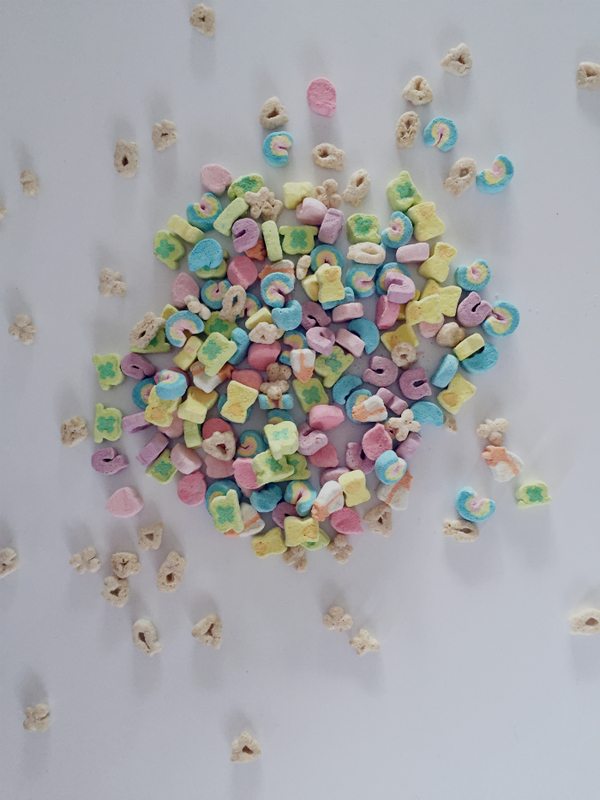 Stir in 3/4 cup of the Lucky Charms. 7. Spread into a lined pan. 8. 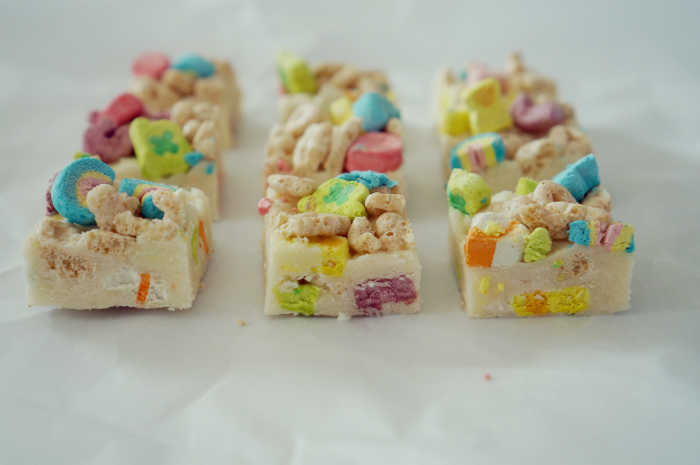 Sprinkle remaining 1/4 cup of Lucky Charms on top. 9. Put in fridge and let chill overnight.